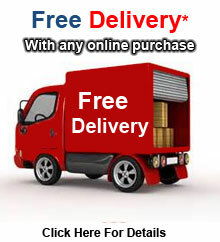 We are here to provide you with the best mattress for your lifestyle and budget. Choose from five levels of comfort! From a Firm, Plush, or Pillow Top, to a Contoured or even Personalized, we have a mattress that will suit your needs. You can also choose by type, ranging from Memory Foam to Innerspring, all depending on what your ideal sleep preference is. 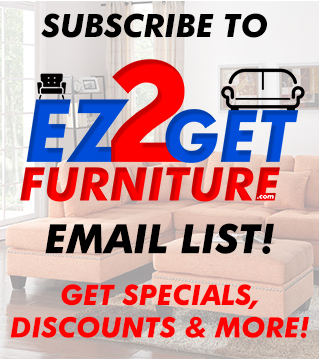 Explore all the options we have available to find the best mattress to meet your sleep needs! Relax with the comfort of the Prime Series Collection of memory foam mattresses. 6 inches. 1" Visco + 5" PU Foam. outer Cover: Polyester Jacquard Fabric Non-Woven Fabric Bottom with Zipper Non-Slid Bottom. Twin: 38" x 74" x 8" H, Full: 53" x 74" H. Compressed Twin: 13" x 13" x 41" H, Full: 13" x 13" x 56" H.
Dunhill Premium Mattress is handcrafted with detail using luxurious suede fabric with designer fabrics. 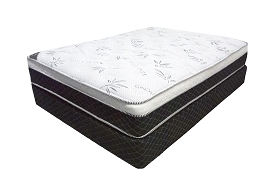 High quality HD foams, traditional cotton padding, and the use of the best off-set LFK spring coil available, combines for a comfort recipe of luxurious firm support. Foam encasing used in the Dunhill is also designed to enhance surface area and edge support. Comfort Level: Luxury Firm. Twin 38" L x 74" W x 14"H, Full 53" L x 74" W x 14" H, Queen 59" L x 79" W x 14"H, Cal King 71" L x 83" W x 14", Eastern King 76" L x 79" W x 14". Bed Frame sold separately. Note: Mattress is very firm. Paradise box pillow top Simplicity Collection mattress includes great components you expect from more expensive sets. Starting from the Rayon Bamboo Stretch Knit Fabric to the stucco multi-needle quilted border, this Paradise set looks as good as it feels. Multi layer comfort layers with the high profile Bonnel Innerspring, the Paradise set will give you time to unwind until your next vacation. The Leggett & Platt U-Guard provides proper edge support, giving you more corner to corner stretch space. Comfort level: Medium. Twin 74" L x 38" W x 12", Full 74" L x 53" W x 12" H, Queen 79" L x 59" w x 12" , Ca. King 83" L x 71" w x 12", Easter King 79" L x 76" w x 12"
Teddy Premium Mattress is handcrafted with detail using luxurious faux fur fabric with layers of plush upholstery. 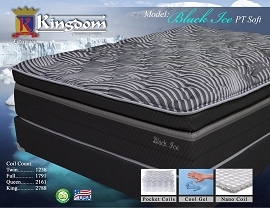 Using the best off-set LFK spring coil available, this designer mattress provides proper support for spinal alignment. 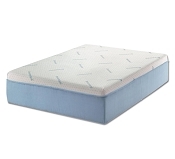 Traditional cotton padding and high quality HD foams provide all the comforts of luxury rest. Foam Encasing used in the Teddy is also designed to enhance surface area and edge support. Twin 74" L x 38" W x 16", Full 74" L x 53" W x 16" H, Queen 79" L x 59" w x 16" , Ca. King 83" L x 71" w x 16", Easter King 79" L x 76" w x 16"
Pearl Simplicity Collection is a great, classic starter mattress. The core of this mattress is a high profile orthopedic designed innerspring unit, topped with a foam layer and fiberfill. Supportive and comfortable, this mattress is made most affordable. Comfort level: Medium. Twin 74" L x 38" W x 8", Full 74" L x 53" W x 8" H, Queen 79" L x 59" W x 8" H, Ca. King 83" L x 71" w x 8", Easter King 79" L x 76" w x 8" H.
8'' coil futon mattress Quality foam and polyester layering Fabric cover 52" x 74"
Ultimate protection encasing the entire mattress. 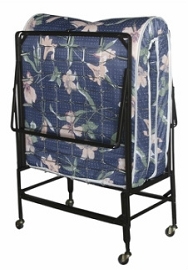 Fabric barrier repels liquids, protects against bed bugs, dust mites, and allergens. Using 100% Polyester Knit, the fabric is breathable and easily machine washable. Gel Memory Foam Mattresses 12"
What are the benefits of "Cool Gel" infused memory foam targeted support , dust targeted support, dust mite resistant, coolest foam mattress, superior pressure relief, spinal alignment, more conforms to the sleepers individual form.